The Hold Me Baby Bag is ideal for the makeup minimalist. It is perfect whether you are traveling for a week and just want the basics or need makeup to carry in your purse for those touch-up moments. It may not seem like much on the outside, but you will be amazed at the bag’s quality and quantity of items it could carry. 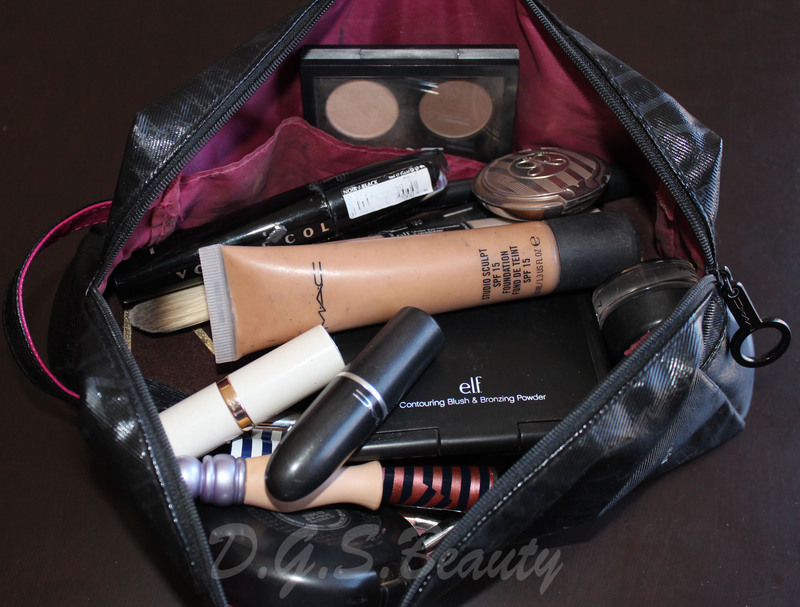 If I did not have my Hold Me Baby Bag, usually I pack the makeup I need into my MAC bag below. However, as you can see it is very cluttered and does not let me organize my makeup for easy picking. 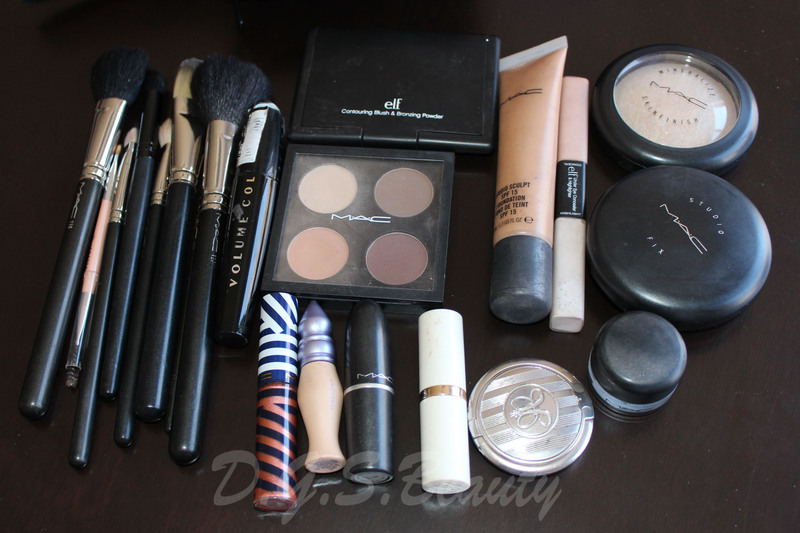 These are all of the items I had in my MAC bag, which I will now put into my Hold Me Baby Bag. When I travel, I prefer packing the basics, which I know will work for a day or night look. Description of Dear Daphne Baby Bag on the Hold Me website. Soft and quiet but never a wallflower. Overall flower print in pink, white and pale grey. Expandable center section holds several small palettes and makeup items of various shapes and sizes. 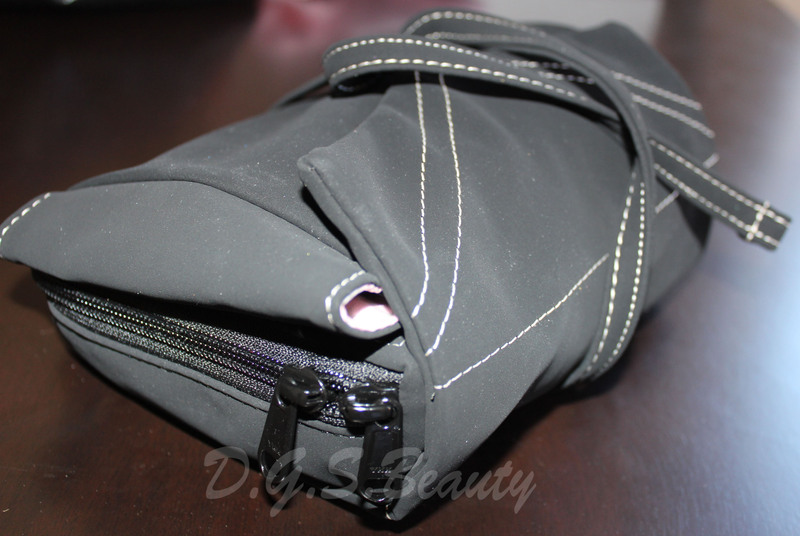 Removable bottom liner can be used outside the bag or to separate palettes. 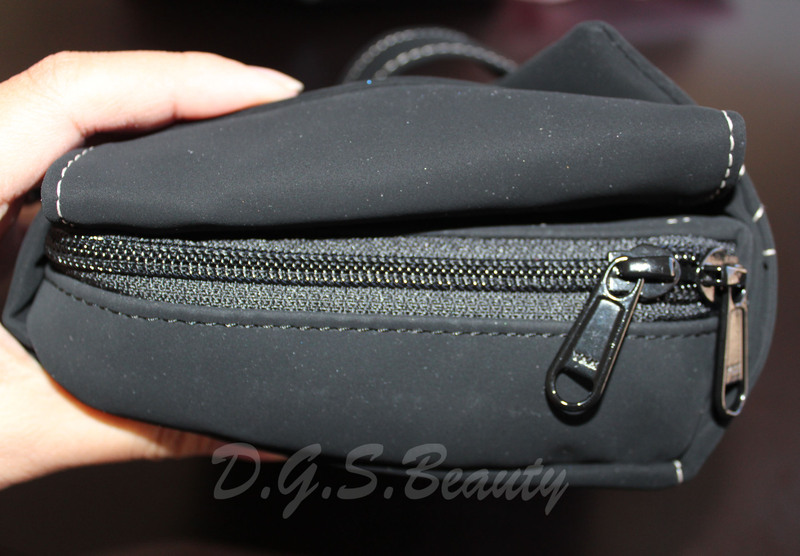 Fully opened, everything is at a glance and easy to access; streamlines and saves time with daily makeup routine. Covered brush section has 6 separate sleeves; can hold single brushes or multiple smaller brushes and tools; protects brushes, as they stay upright, fresh and safely stored. Maximum brush length: 6″. Exterior and parts of interior made of vegan suede fabric; interior highlights of wipe-clean laminated cotton print. 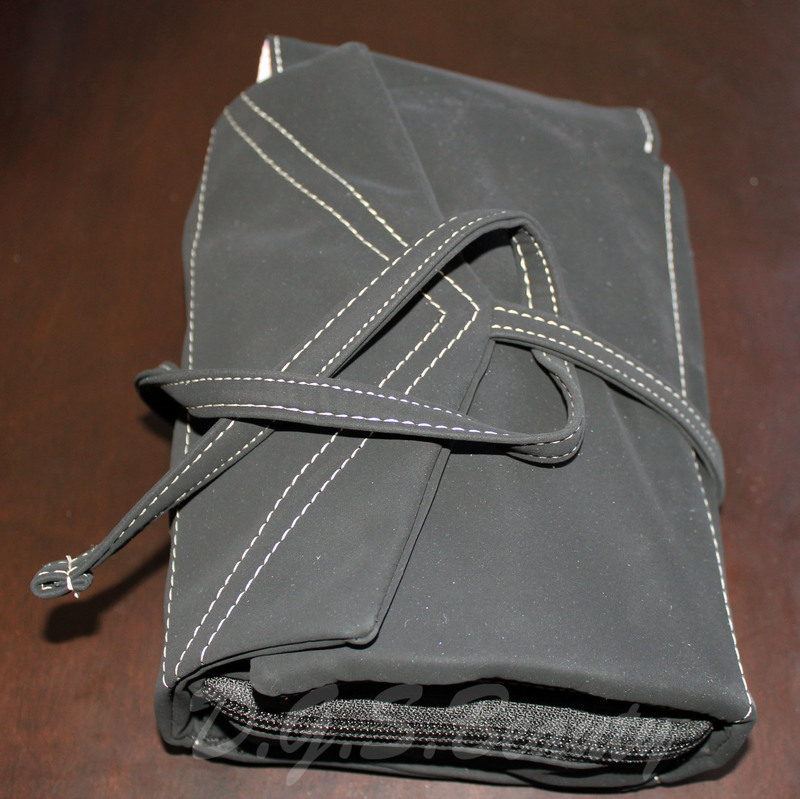 Both fabrics are easy to clean and durable. Measures 7″H x 5″W x 2″D closed; extends to 16.5″ fully opened. I do not have much travel size brushes, so as you can see my full size face brushes are a bit tall for the brush holder section, but I managed to make it work. Everything packed and ready to go.